All new for 2018, the Texas Stix is signed with Wilson and honored to be a Louisville Slugger Authentic Club… one of only 5 in the US! Stix has been selected as a Louisville Slugger Authentic Club based on regional influence, competitiveness, college placement program and success rate. 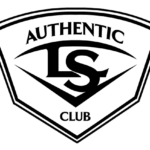 The elite Louisville Slugger Authentic Club status will lead to more scout exposure and quality competition for our players. Stix has the opportunity to participate in Wilson Premier events, which are ultra-elite, exposure-based tournaments. The Stix will be wearing Wilson/Louisville Slugger/Demarini/Evoshield on the field. Through TPA, Stix players will receive preferred access to eligible products and equipment from Wilson, Louisville Slugger, Demarini, Evoshield, and ATEC.